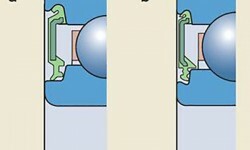 SKF Energy Efficient deep groove ball bearings, which up to now were only available with shields, reduce the frictional moment in a bearing by 30 % or more when compared with equivalent SKF sealed Explorer deep groove ball bearings. The new sealed variant (fig. 1) maintains a reduction of 30 % or more in frictional moment while providing superior protection against lubricant leakage and the ingress of contaminants. 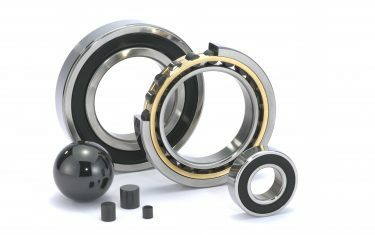 Due to their reduced frictional moment, SKF Sealed E2 deep groove ball bearings run from 5 to 15 °C cooler than an equivalent SKF Explorer bearing. The cooler operating temperatures extend grease life, which ultimately extends bearing service life. SKF Sealed Energy Efficient deep groove ball ­bearings are available in different sizes ranging from 6 mm to 25 mm bore diameter. When operating under the recommended load conditions, fatigue failures for sealed bearings are rarely an issue. Therefore, bearing service life is almost always limited by grease life. With that in mind, it becomes clear that because an SKF E2 bearing runs 5 to 15 °C cooler than an equivalent SKF Explorer bearing (fig. 3), grease life and consequently bearing service life can be extended. 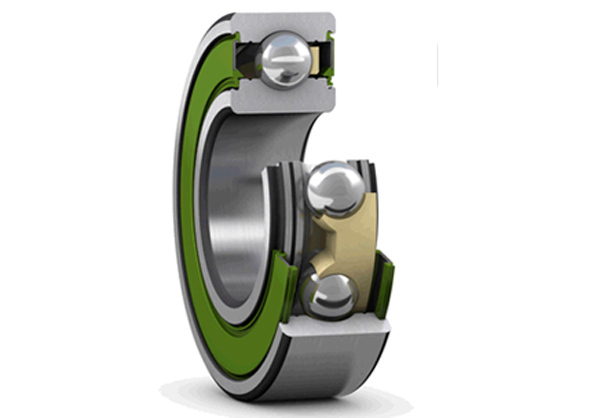 SKF Sealed E2 deep groove ball bearings are supplied with a new low-friction contact seal (fig. 4). This highly effective new seal is made from acrylonitrile-butadiene rubber (NBR) and reinforced with a sheet steel insert. 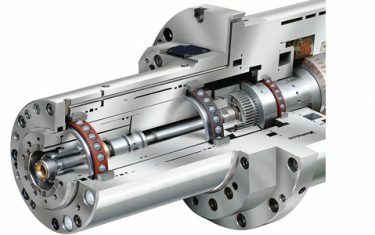 The design of the seal takes advantage of NBR’s low modulus of elasticity. 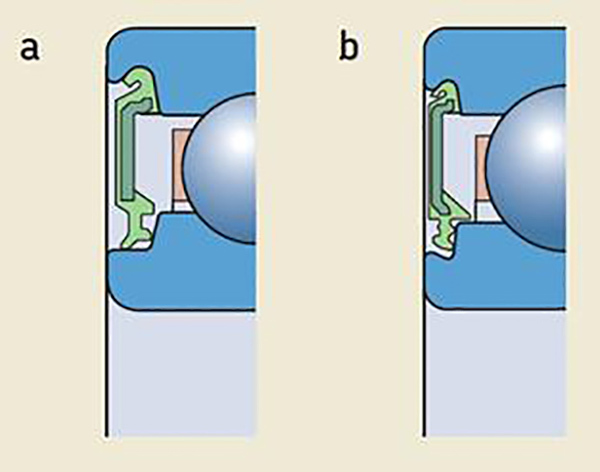 The resulting thin, flexible design minimizes the frictional moment, while effectively keeping the lubricant in – and contaminants out of – the bearing. 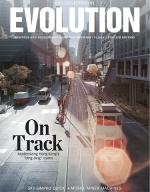 Following the development phase, SKF Sealed E2 deep groove ball bearings underwent a range of stringent validation tests to confirm their performance under a range of conditions. Under the speed test, the bearing was run for 10 hours at both 5,000 r/min and 8,000 r/min with a 50 N radial load to measure the frictional moment (fig. 3) and grease leakage. A dust test was carried out for 168 hours using a fine-grade dust, to assess the effectiveness of the seal. After the test, the grease was found clear, with no dust trace. Dynamic and static water tests were also conducted to confirm the seal’s ability to repel water. 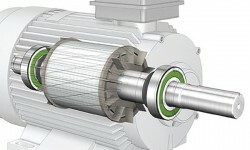 A friction test according to SKF standards confirmed its low-friction performance. 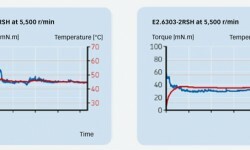 Tests show that SKF Sealed E2 deep groove ball bearings can double bearing service life when compared with equivalent sealed SKF Explorer bearings, thus helping to reduce total cost of ownership. 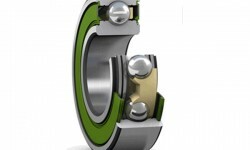 SKF Sealed E2 deep groove ball bearings can provide tangible benefits. Take a textile machine equipped with 200 SKF Sealed Energy Efficient bearings as an example. 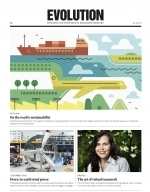 The machine, which typically runs for 8,000 hours per year, can save up to 11,300 kWh annually. This reduction in energy use translates to CO2 savings of 8.5 tonnes per year, according to world power grid mix CO2 factor of 0.749 kg CO2e/kWh or the equivalent of 42 kg CO2e/bearing per year. 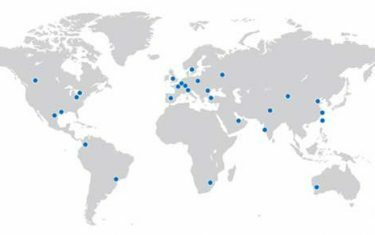 In conclusion, SKF Sealed E2 deep groove ball bearings can make an important contribution towards reducing energy use, CO2 emissions and need for maintenance. 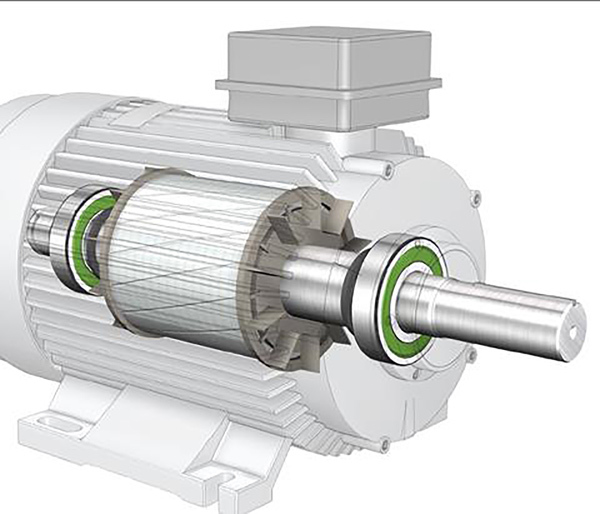 Due to the challenges related to reducing energy use, technologies that enable even a small reduction in energy consumption are important, and this bearing is playing its part in supporting the environment.